This lovely furnished updated home feels like a country cottage having just enough trees to enjoy nature while sitting on your raised screen porch. The sliding doors going into the living room allows for lots of light and fresh air. 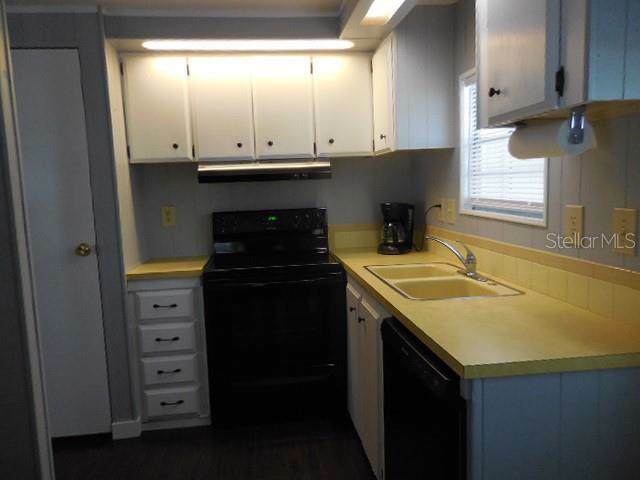 The kitchen has new appliances and breakfast bar. 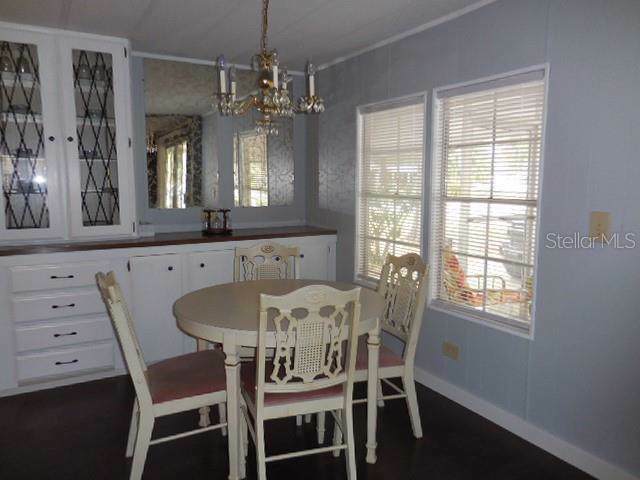 The dining room has a built-in hutch for extra storage. 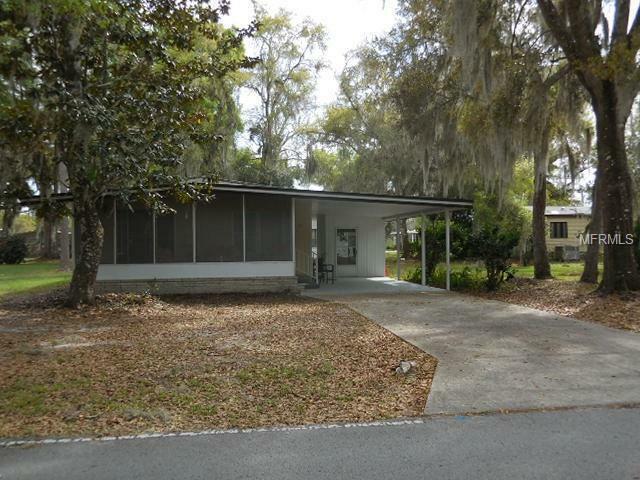 The attached carport has a utility room with a washer and dryer. The back yard has a patio with a table and chairs. 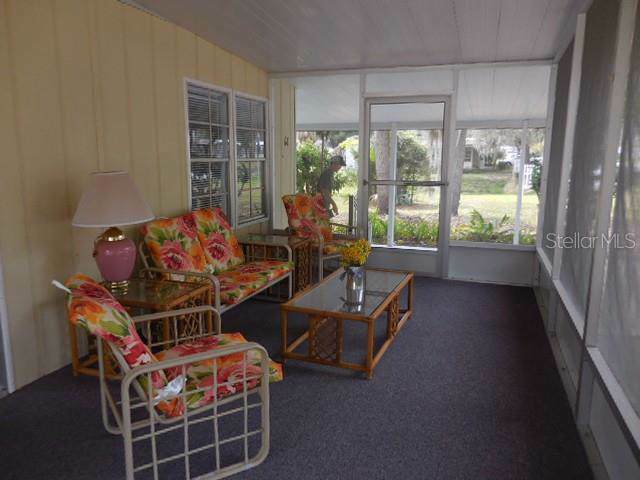 Located in a Senior gated Golf Community with a Restaurant and Lounge and a variety of indoor and outdoor activities. Only minutes away from Shopping, Entertainment and Medical Services. This is the perfect place to enjoy you winter getaway or live year-round.